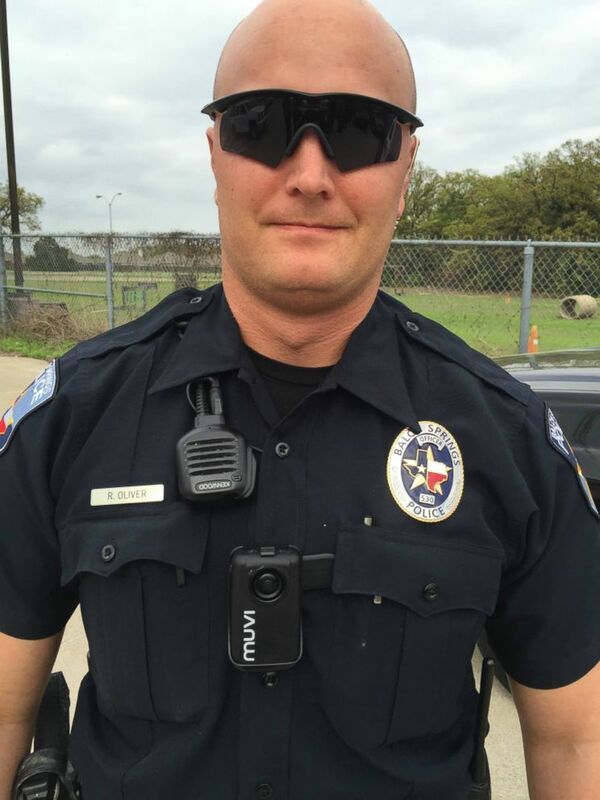 A former Texas police officer was found guilty of murder on Tuesday in the 2017 killing of an unarmed African-American teenager who was shot as he and his friends started to drive away from a house party in a car. 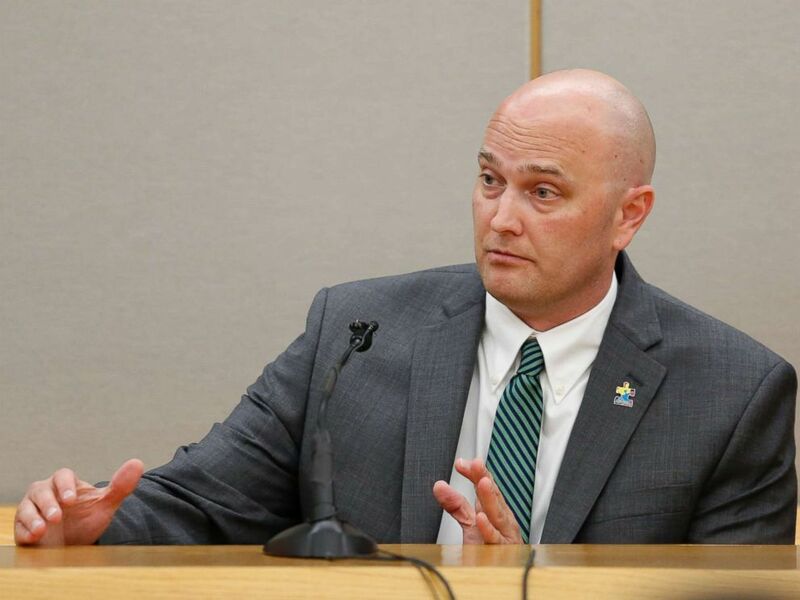 A Dallas County jury convicted Roy Oliver, who is white and a former officer for the Balch Springs Police Department, of murdering Jordan Edwards when he fired multiple times into a car full of teens and struck the 15-year-old in the head. Fired Balch Springs police officer Roy Oliver, testifies to the jury with defense attorney Jim Lane during the sixth day of his trial at the Frank Crowley Courts Building in Dallas, Aug. 23, 2018. The jury announced its verdict just before 3 p.m. local time, after deliberating 13 hours over two days. As Dallas County District Court Judge Brandon Birmingham read the verdict, Oliver, 38, wearing a gray suit and standing between his two defense attorneys, showed no emotion. After the jury filed out of the courtroom, relatives and friends of Jordan hugged each other. Some, including Jordan's mother, Charmaine Edwards, broke into tears. Odell Edwards, Jordan's father, sprung up from his seat in the front row of the courtroom and hugged Assistant District Attorney Mike Snipes. 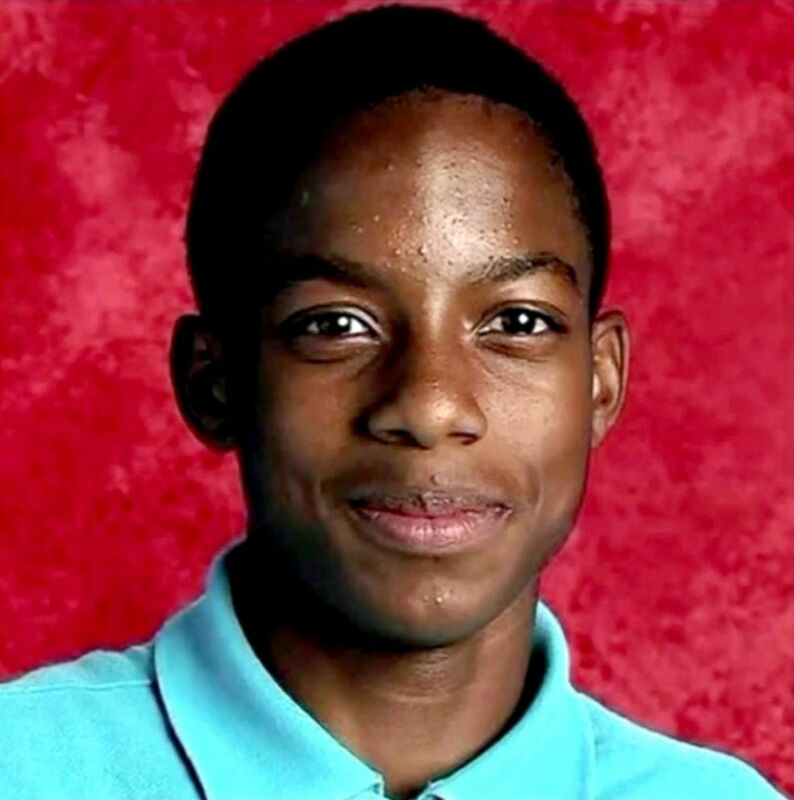 Fifteen-year-old Jordan Edwards was shot and killed April 29, 2017 by former Balch Springs police officer Roy Oliver in Texas. "I'm very, very happy," Odell Edwards told reporters. "It's been a long time, a hard year." The jury found Oliver not guilty of aggravated assault for firing with a rifle into the car of teenagers. Jordan was shot to death on April 29, 2017, when officers responded to a late-night house party in Balch Springs, a suburb southeast of Dallas. During the trial, Officer Tyler Gross, Oliver's partner that night, testified that when he and Oliver arrived at the scene he spotted a car full of people outside the house apparently attempting to drive away. Gross testified that as he ran toward the car he ordered the driver to stop. 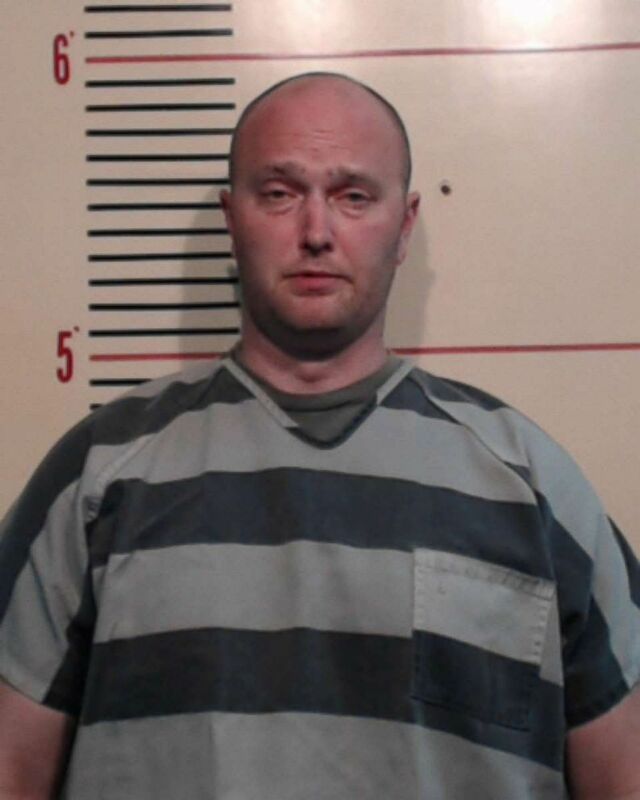 The booking photo of Roy Oliver, a former Texas police officer who turned himself into authorities on May 5, 2017, just hours after a warrant for his arrest was issued in connection with the shooting death of a 15-year-old boy. Oliver testified during the trial that he thought Gross was in danger of being run over and fired an AK-15 rifle five times at the car, hitting Jordan who was in the front passenger seat. He also testified that before the shooting, he was inside the house and that he believed he heard gunfire erupt outside. "I had to make a decision," Oliver told jurors. "This car is about to hit my partner. I had no other option." Oliver initially told his superiors that the car was backup up toward Gross when he opened fire. But police later said police body camera and dash-cam footage showed the car was moving forward and away from the officers when Oliver shot at the vehicle. Three days after the shooting, Balch Springs Police Chief Jonathan Haber announced that Oliver, who joined the police force in 2011, had been fired. During his closing argument, Snipes described Oliver as reckless and out of control. "This guy is an angry, out-of-control walking bomb, a time bomb that went off on April 29, 2017," Snipes told the jury. Roy Oliver appears in this photo from the Balch Springs Police Department Facebook page, April 1, 2015. He played the jurors the police dash-cam footage and freeze-framed it to show Jordan, wearing a light blue top, in the front seat of the car just before he was shot. "He didn't know it, but he's got about 10 seconds to live," Snipes told the jury. Snipes said Jordan, a star football player at Mesquite High School in Balch Springs, had a bright future that was cut short by Oliver. "He really had a million friends, [he] really had a 3.5 grade point average, he really did want to go to [the University of] Alabama to play football," Snipes told the jury. "He did not deserve to die that night."